IT TAKES JUST ONE IDEA TO MAKE A CHANGE Delta Plastics started with a vision to change how the Mid-South irrigates. Now, 22 years later, more than 100 billion gallons of water have been saved and a billion+ pounds of plastic recycled. IGNITING ARKANSAS’ POTENTIAL ASMSA offers an experience that combines the best parts of both high school and college in a unique community of learning. It is the only school in the state to provide advanced course opportunities in STEM, arts, and entrepreneurship in an on-campus residential experience. ASMSA alumni have been involved in startups related to technology, solar energy, fashion, manufacturing, cryptocurrency, communications and other topics of global interest. We can’t wait to see what our next generation of innovators and entrepreneurs bring to the state and world. Ignite your curiosity by visiting the state’s premier public high school! Where entrepreneurs, startups, and growth-oriented companies receive no-cost consulting on everything from strategic planning to Kickstarter campaigns. IT ALL STARTED ON A NAPKIN Great business ideas often get their start on a simple napkin. And once that idea has legs, that’s when the Arkansas Economic Development Team can provide valuable assistance with investment incentives, workshops, tax credits and grant programs to get your business up and running. To learn more about these programs, visit ArkansasEDC.com/Start. MAKING IDEAS HAPPEN The best part of startup law is helping innovators bring their visions to life. 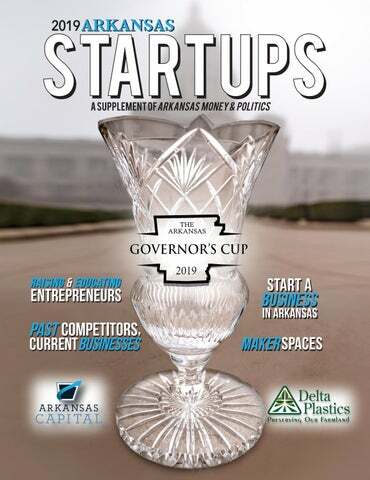 PPGMR Law is proud to support Arkansas entrepreneurs. With offices in Little Rock, El Dorado and Stuttgart, PPGMR Law is a business-focused law firm known for its experience in helping entrepreneurs, technology companies, startups and investors. Visit us at ppgmrlaw.com. OPENING DOORS FOR Arkansas B U S I N E S S .
First Security offers solutions and local expertise to turn your passion into profit. Whatâ&#x20AC;&#x2122;s your better? Get there with us. BIG DREAMS ARE CUTTING EDGE. t the University of Central Arkansas, we make smart management, marketing, accounting, entrepreneurship and cybersecurity our business. Through our one-of-a-kind innovation and entrepreneurship programs, we prepare students to navigate a global economy, overcome real-world business challenges and tackle complex cybersecurity issues in a rapidly-evolving business world. Learn more at gouca.com today. The characteristics you need to launch a new business are the same ones needed to succeed in agriculture. Congratulations to all competitors in the Arkansas Governorâ&#x20AC;&#x2122;s Cup. arding salutes our 2018 teams who represented five of the top 12 finishers in the 2018 Arkansas Cup Collegiate Business Plan Competition. We wish continued success to our 2019 teams. We believe the seeds of ideas planted by these teams will lead to new businesses in the marketplace in the coming years. Hardingâ&#x20AC;&#x2122;s award-winning Paul R. Carter College of Business Administration prepares students for the business world with a Christ-centered, ethics based education. Our Waldron Center for Entrepreneurship and Family Business partners with business owners to help them succeed. Utilizing the skills and ingenuity of our students enables enriching entrepreneurial experiences and benefits our communities. 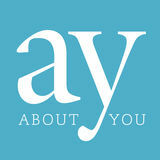 Come do business with us! The McMillon Innovation Studio activates multi-disciplinary student design teams focused on prototyping new models of delivery, services, products and policies. The Brewer Family Entrepreneurship Hub off the Fayetteville square is a training, networking and co-working space for student, alumni and faculty entrepreneurs. The Walton Executive MBA Program allows working professionals to complete an innovative MBA degree over two years, combining online instruction with one face-to-face Saturday a month.